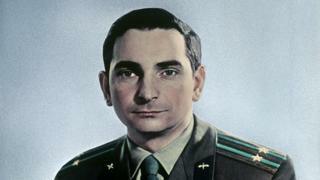 His death on 27 March was confirmed by Russia's federal space corporation Roscosmos, but no cause of death was given. He leaves Alexey Leonov, the first spacewalker, and Boris Volynov as the last surviving members of that pioneering first group. Valery Fyodorovich Bykovsky was born on the 2 August 1934 in Pavlovsky Posad, near Moscow. As a boy, he moved around due to his father's job at the Ministry of Railways, spending seven years of his youth in Iran. The First Soviet Cosmonaut Team, a history of the pioneering group, quotes Bykovsky's father as saying: "He (Valery) has always been courageous and exciting, and dangerous professions attracted him." Bykovsky's mission overlapped with that of Valentina Tereshkova, the first woman in space. At one point, the two Vostok spacecraft were said to have come within 5km (3 mi) of one other. Tereshkova is now the last person alive to have flown in a Vostok ("east" in Russian), the first generation of Soviet-crewed spacecraft. Bykovsky would have commanded the second flight of the USSR's Soyuz spacecraft, the general design still in use today. But the first flight, Soyuz 1, crashed into the ground at high speed in April 1967 after its parachutes failed, killing its sole occupant, cosmonaut Vladimir Komarov. Bykovsky trained for the Soviet Union's programme to land on the Moon, which was also cancelled after American astronauts Neil Armstrong and Buzz Aldrin touched down in the Sea of Tranquility in July 1969. The cosmonaut's third and final orbital flight would come on Soyuz 31, which docked in orbit with the Salyut 6 space station on 28 August 1978. Bykovsky and Sigmund Jähn, the first German in space, spent six days on Salyut 6, visiting the orbiting outpost's two resident crew members Vladimir Kovalyonok and Aleksandr Ivanchenkov. Their tasks were to deliver supplies to the crew and carry out scientific experiments aboard the station.